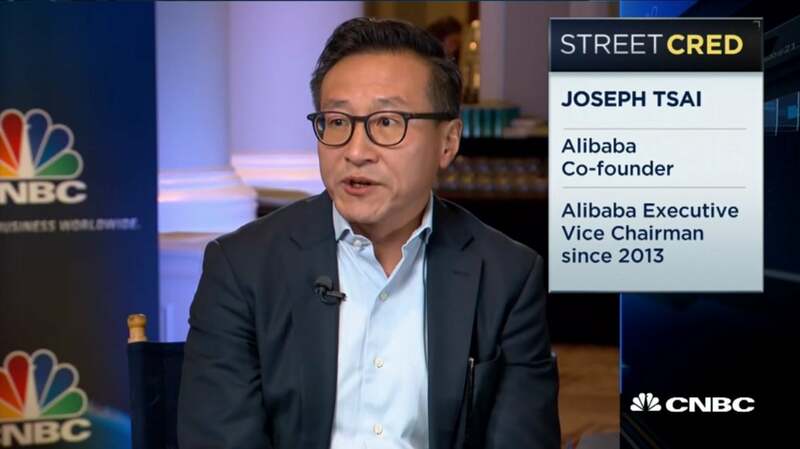 The following is the unofficial transcript of a CNBC EXCLUSIVE interview with Alibaba Co-Founder Joe Tsai and CNBC’s Leslie Picker on CNBC’s “Closing Bell” (M-F 3PM – 5PM) today, Tuesday, February 12th. WILFRED FROST: Welcome back. Alibaba shares up 8% since beating Wall Street’s estimates nearly two weeks ago, but concerns over China’s slowing economy and trade tensions still hang over the company. Leslie Picker is at the Goldman Sachs’ Technology Conference in San Francisco where she is joined exclusively by Alibaba Executive Vice Chairman Joe Tsai. Leslie, over to you. LESLIE PICKER: Hey Wilf. Thanks so much. So a lot of investor pessimism and skepticism surrounding the Chinese economy lately, whether it’s a slowdown, the trade war, the government, different regulations. What do you say to those skeptics about investing in the Chinese economy at this time as well as investing in Alibaba? JOE TSAI: I would say is you have the look at the long term. When’s happening is China has 300 million middle class consumers and that’s the growth driver, that’s the engine for growth over the next ten, 20 years. That number, according to the OECD, is going to grow to 850 million by 2030. So if you look at the Chinese economy today, it is very much driven by consumption. Retail sales growth is outgrowing GDP and the business side we’re in, e-commerce, is outgrowing retail sales. So you look at 8% retail sales, e-commerce GMV in the fourth quarter grew 21% and Alibaba specifically outgrew total e-commerce by several percentage points last quarter. So we feel pretty good right now. LESLIE PICKER: So you are not concerned about a slowdown at all, and if there is tension related to U.S. trade relations that isn’t impacting Alibaba? JOE TSAI: Well there’s a difference of the cyclical and the secular. Okay. So, you know, this might be cyclicality for example in the consumer durables, sale of cars, for example, coming down. You know, so negative growth over the last quarter. So cell phones is not very good. But what we see on the Alibaba platform is consumables, FMCG products are doing very well and international brands are doing very well like Nike, Procter & Gamble, LVMH and brands like that. With regards to the trade war, I would say this: the -- if you look at the long term, the trade deficit itself will reverse. You know, I have talked about this 300 million middle class consumers that would continue to buy more from over the world. The government has made a commitment to import $30 trillion of goods and $10 trillion of services over the next 15 years. LESLIE PICKER: The Chinese government. JOE TSAI: The Chinese government. Yes. So, you know, it is really kind of interesting that people are focused on the tariffs but over time this structural issue of the trade deficit will reverse itself and China will be buying more from the rest of the world. LESLIE PICKER: But the talks going on right now and policy formulated right now between these two countries. How do you see the trade war ultimately turning out? JOE TSAI: We’re always glass half full. We’re in business so we always hope for more benign environment. So we remain optimistic that there’s going to be a resolution at some point. LESLIE PICKER: Now, in the meantime, though, we have seen, you know, kind of a backlash against Chinese companies operating in the U.S., Huawei, ZTE, Ant Financial even in trying to make an acquisition of MoneyGram over here was blocked due to national security reasons. Is it harder to be Chinese businessman trying to do business in the U.S. these days or is it harder to be a U.S. businessman trying to do business in China these days? JOE TSAI: Well, I think there’s a very symbiotic relationship of Chinese businesses and U.S. businesses doing business in each other’s countries. And we hope – we are hopeful that this relationship will be maintained. I think there are some specific circumstances on some of the Chinese companies and they will have to work through their issues with the regulators. But I think as far as Alibaba’s concerned, what we are doing here in the United States is to help American farmers and small business to sell back into China, to export to China. And so, for example, we are helping, you know, the Ocean Spray Cranberries and Washington State Apples, all those guys that are producing fruits and farming products selling into China on our Alibaba platform. That’s a business for us that we see there’s a lot of potential and we continue to, you know, execute that strategy here in the United States. LESLIE PICKER: Now, according to your most recent 20F filing, it’s been about three years since the S.E.C. first started reviewing -- looking into some accounting practices related to GMV and Single’s Day. Why is that investigation been going on for so long and do you see that as more of a Washington power play at this point or do you think there’s actually something that they will find and that will be revealed? JOE TSAI: Well, it’s been very long so they haven’t found anything. I think there’s no updates on that issue at this point. LESLIE PICKER: Now, I want to ask you about artificial intelligence, a huge topic of conversation today and a huge topic of conversation in Washington this week. Who do you think will prevail in the technology related to artificial intelligence? Right now it seems like common knowledge of analysts in the tech company that the U.S. is ahead but everyone is very concerned about China catching up to the U.S.’s technology this point. Where do you see that battle ultimately ending? JOE TSAI: Well, I think it’s not quite right to pit China against the United States when it comes to AI or any kind of technology. The fact of the matter is everything is symbiotic. So specific to AI, if you look at the applications of AI, we’re applying that to agriculture, to manufacturing, to health care. So, for example, there’s just an article this morning about Chinese hospitals develop new ways using AI to detect diseases. And if the benefits of AI can be shared globally with all the different country that will be great. But right now, I think there’s kind of a knee jerk tendency to say, ‘Oh, we’re competitors,’ and parallel universes are being created. I think that’s the wrong approach. The fact of the matter is there are scientists from China here in the United States working on AI. Lots of American companies that are very, very good in AI that want to get into China. I think that -- I think having a more symbiotic relationship and working together on AI is really the way to move forward. LESLIE PICKER: Now I have to ask you about you, because lately you have been building up quite a big sports portfolio. You know, what are your plans, especially now that Jack Ma is planning on stepping down later this year? You’ve been, you know, building up quite the big sports franchise in lacrosse and basketball and other areas. What are Joe Tsai’s plans moving forward? JOE TSAI: I plan to stick around at Alibaba for a while. I think Jack is, you know, moving from the Executive Chairman position but taking a step back, but he’ll still stay within the Alibaba partnership. 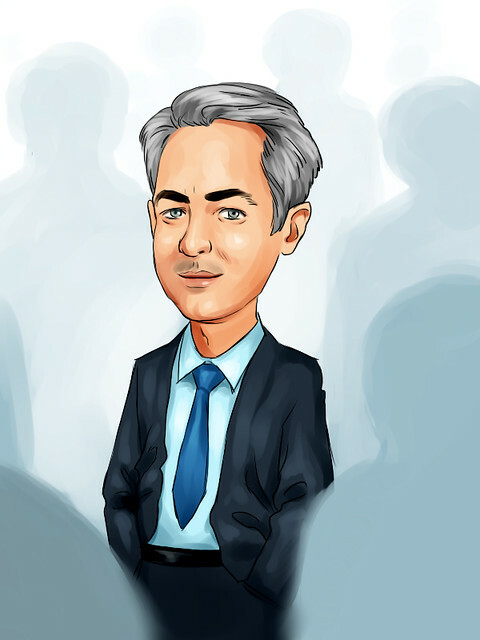 The next guy up, Daniel Zhang who’s been CEO for the last three, is going to take over the Executive Chairman role in September, taking over that from Jack. We have got a terrific management team and this transition is a perfect example of really sort of a positive development of a very deep bench in management. I’m very, very proud of that. LESLIE PICKER: All right. Joe Tsai staying in Alibaba for awhile, so we’ll see you back on very soon I’m sure. Thank you so much for joining us. LESLIE PICKER: Now back over to you all at the New York Stock Exchange. WILFRED FROST: Leslie, thank you very much for that. Thank you, also, to Mr. Tsai. We’ll have more from the Goldman Sachs Tech Conference tomorrow, including an exclusive interview with Goldman Sachs CEO David Solomon. That will be at 3:15 p.m. Eastern time. You don’t want to miss that.